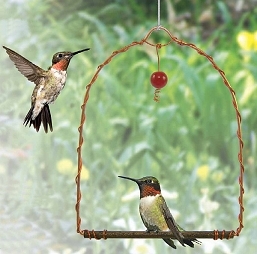 Watch hummers playing in your backyard! 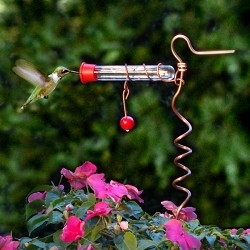 Mimics the tube shaped flowers hummingbirds feed on in nature! 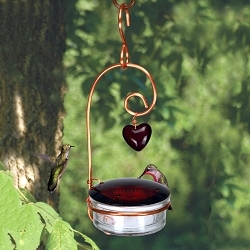 Our Tweet Heart Four Tube Hummingbird Feeder has a heart shaped center adding detail to the already beautiful feeder. 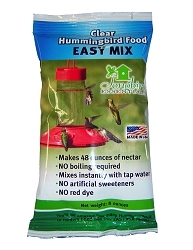 This 4 station feeder lets hummers feed side by side. 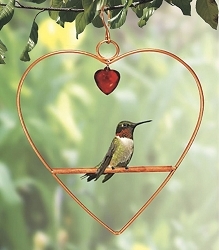 The red glass heart will attract hummingbirds to come and feed from your feeder. 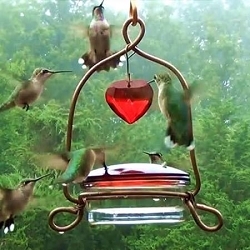 Fun to watch and great entertainment! 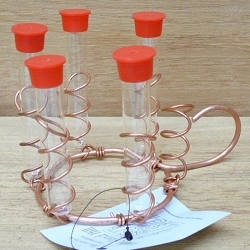 Constructed of solid heavy gauge copper. 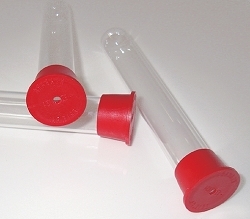 It has 2 double wall thick glass feeding tubes. 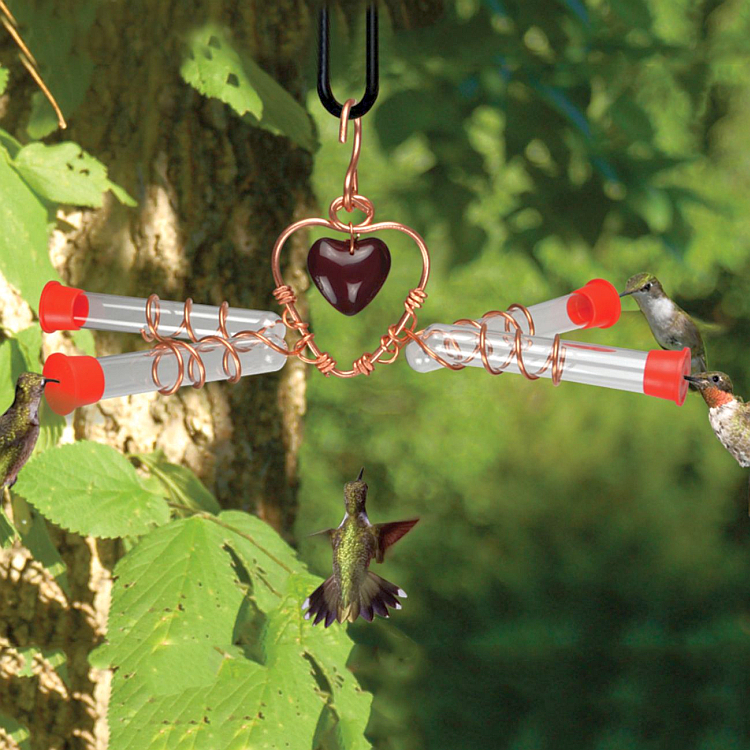 Makes a wonderful gift for the hummingbird lover! 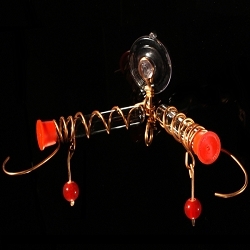 Proudly handcrafted in the USA by skilled artisans! 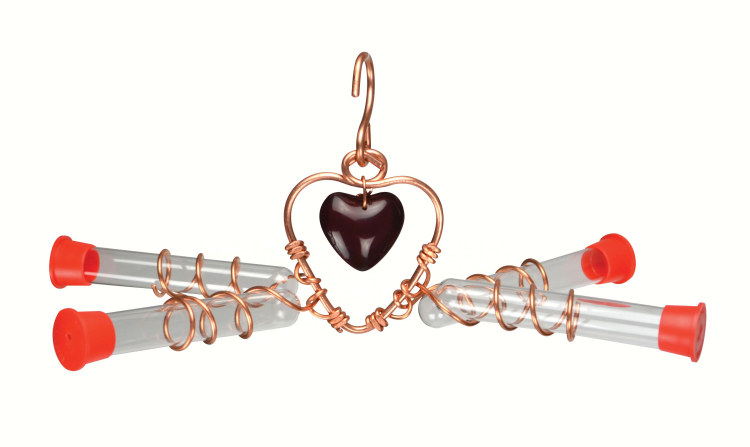 Custom made to order - Being handmade, these hangers take longer to create than machine made, mass produced items. 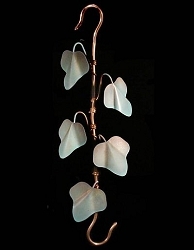 The handcrafted aspect of our hangers is what adds value, uniqueness, beauty and durability to every work of art. 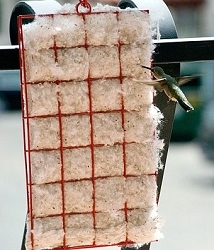 Dimensions: 5" x 5" x 8.5"